It began last week. Not just the dip in the temperature, the closing in of night, the leaves turning gold and tawny in the lanes and the proliferation of mushrooms, but the unexpected appearance of those underground veg on the table. Although there were still cosmos and California poppy flowering in the gardens, winter had put his bony leafless hand on the pot and suddenly we were all thinking Roots. 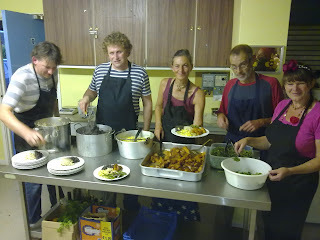 At our Dark Mountain meet-up in Norwich last week, Jeppe (just back from Denmark) served up roasted veg - parsnip, swede, carrot - and Brussel sprouts. We all tucked in heartily to spicy and warming dishes of cous cous, quinoa and Puy lentils before discussing the hands-on practical side of the movement, here exemplified by Simon Fairlie's recent blog, Growing Up Dystechnic. Our conversation was all about time. The time it takes to cook by hand, chop and watch the stove, to grind seeds and spices, using the ancient tool of the pestle and mortar (or in my kitchen a volcanic Mexican molcajete). 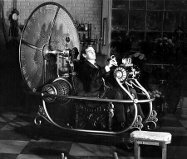 How those things link you in with other times and places and peoples in a way machine-mixed or factory-made food can never do. How crafting the materials of life, including food, runs along another groove to gimme-now 24/7 consumerism. Time is what you need when you enter the slow cook, downshift winter. The days of quick tossed salads and leaves and the sweet and hot Indian summer dishes that were the focus of our Happy Monday's Mexican Fiesta are ceding to stews and soups and warm, wholesome stuff that requires a different attention. In the Chinese Five element system we're moving from the spleen "mother" foods (think pumpkin and sweet potato ) into the realm of the "father" (lung) where the tastes are pungent, strong and dark. We will need to have recourse to this robust simple fare because out there the weather has been dire. The worst autumn on record, declared the Farmers Weekly, as growers everywhere are struggling to get their potatoes out of the ground, roots are rotting, leaves suffering from mildew and barley struggling to come through water-logged land. Across the UK and the world food prices are rising. Animals are being mass-slaughtered as the price of feed, after a summer of drought in the US and elsewhere, has risen prohibitively. Here a bag of organic potatoes that cost us £8 last year is now £24. Malcolm, who has been providing us with a box of veg for nine years has almost no apples, no parsnips, small onions and smaller potatoes, says it is unlikely we will get a box in the new year. There is one bright green light ahead however: the brassicas may yet be all right, he tells us. Cabbage is one of our low-carbon winter mainstays. Somewhere around now I can't get enough of those greens: kale, Brussel sprout tops, wrinkly and straight cabbages, all for putting in the stew pot or for steaming and dressed with olive oil and lemon, or tamari and sesame seeds. Or best of all making endless creative varieties of coleslaw. Here is an economical, quick to prep, slow to cook recipe that warms up every meal. Enjoy! 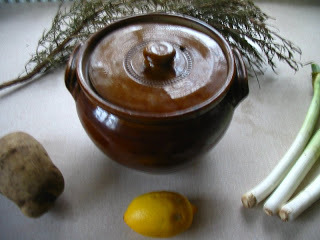 Method: put cabbage and apple into an earthenware pot. Add the rest of the ingredients and stir to make sure everything is evenly coated. Slow cook for one hour in the oven. You can also cook this on top of the stove. Just bear in mind this dish, like a lot of slow-cooked meals, gets better the next day. You can adjust the seasoning before serving too depending on how sweet or sour you like your cabbage. Take out that bay leaf and chili, unless you like surprises! 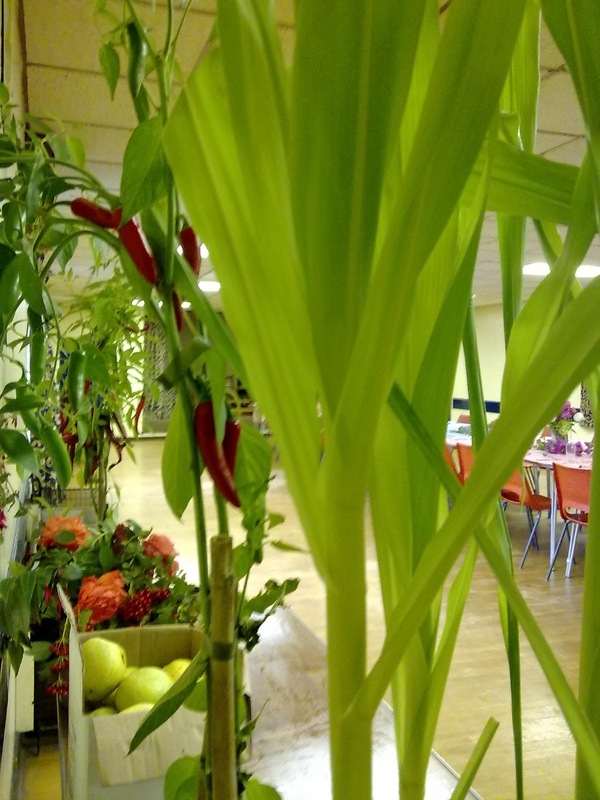 Pictures from our Happy Monday, Mexican Fiesta and Medicine Soup by Mark Watson. 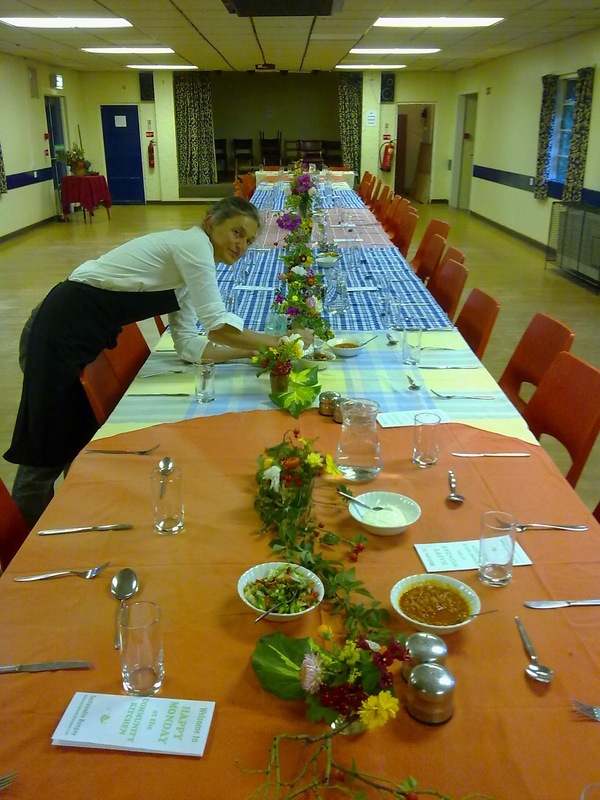 Bookings are now open for Sustainable Bungay's next community meal on 19 November on Winter Comfort Food. 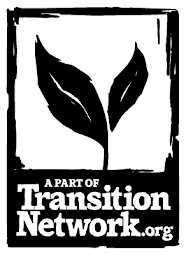 Welcome to the "official"blog of Transition Norwich, part of the world-wide Transition movement, a community-led response to peak oil , climate change and the economic recession. Our TN blog is designed to showcase the Transition experience, from those who are living it - its highs and lows, challenges and treasures. We began this community enterprise in October 2009, inspired by the work of the Transition Circles, and have been charting our low-carbon lives almost daily since then. 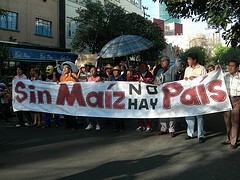 In June 2012 the group of contributors began to post more occasionally (about once or twice a week). 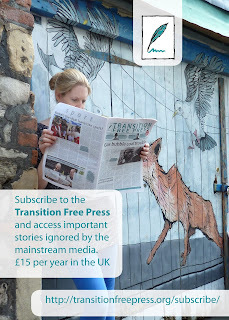 We also cross-post work from other Transition initiatives. You can find the full range of subjects we cover in our Labels list (see below). Do feel free to join in the conversation in the comments box. We'd love to hear from you!